The band is here with six adorable 3" stickers! Also available individually! 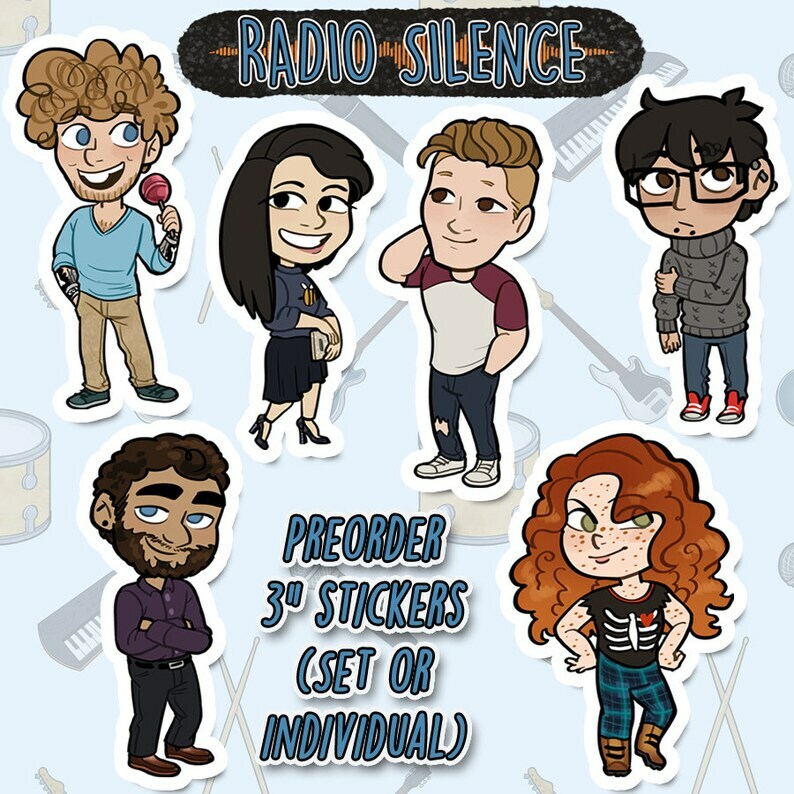 Radio Silence is a coming of age webcomic about a British rock band's rise to fame. The characters you see are Wren, Shy, Matt, Brent, Colbie, and Liz. Originally made for patrons, now available to all! Such cute stickers! Thank you!